The Bedale, Aiskew and Leeming Bar bypass is a relief road running between Bedale, to a point east of Leeming Bar on the A684 Northallerton Road. The road corridor runs west to east for approximately 4.2km and crosses the A1(M) at a point north of Leeming Bar. 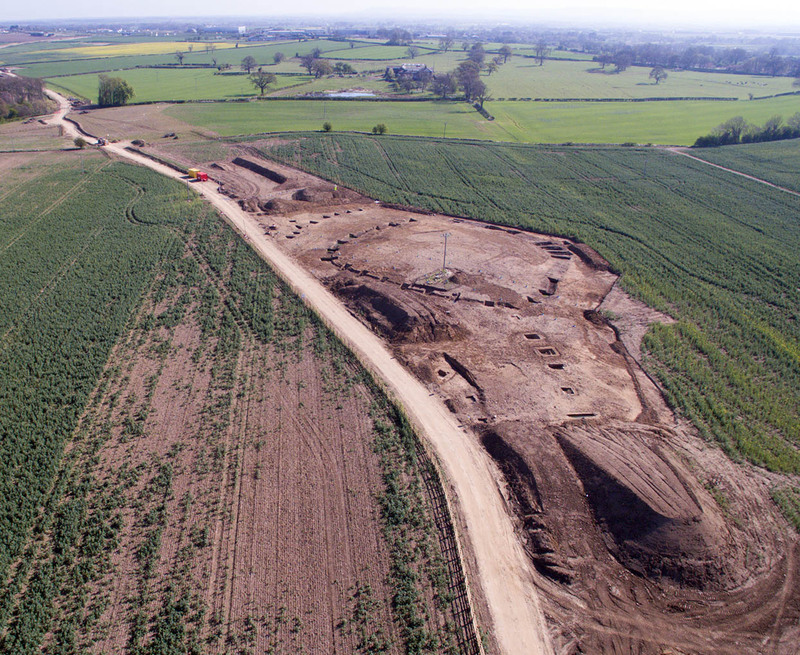 Two major sites were impacted by the road scheme; part of a Roman Villa complex to the north of Aiskew, and a substantial ditched enclosure of Iron Age/ Roman date situated to the north-east of Bedale. These two sites were previously known from various campaigns of preliminary archaeological works undertaken as part of the planning process, but both were thought to be poorly preserved and that the impact of the development upon them could be mitigated by suitable programmes of archaeological excavation and recording in advance of construction works. The road corridor clipped one corner of the villa site, and all archaeological remains within the corridor were fully excavated and recorded prior to construction works occurring. However, the site proved to be rather more complete and in better condition than anticipated, and the remainder of this monument has now been Scheduled. The road corridor ran through approximately two-thirds of the enclosure site and this was again subjected to archaeological excavation prior to construction works. 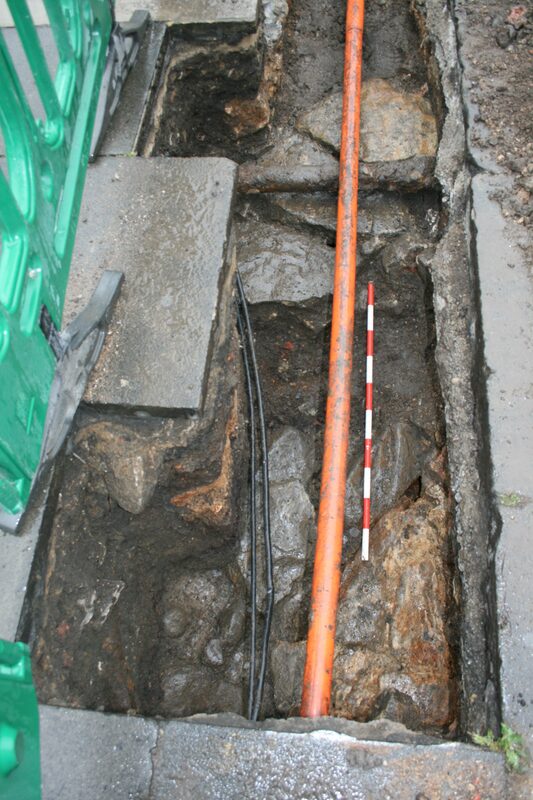 The remainder of the corridor was subjected to archaeological monitoring of soil-stripping works as the development progressed and any archaeological remains encountered along the route were excavated and recorded as a matter of course, without causing any undue delay to the development programme. The specification for this project required that there were significant elements of community involvement with the scheme. Where safe and practical, this included on-site experience during excavation works at the enclosure; programmes of finds processing and recording where on-site work was not feasible for members of the local community, and outreach in the form of presentations to schools and local societies. The watching brief was undertaken ahead of and during a scheme of highway works associated with the laying out of a cycle track along the western side of St. Nicholas Street. This included the installation of a new traffic light system at junctions, which required the excavation of trenches in the pavement and carriageway, and some road reconstruction, which required the excavation of trenches within the carriageway the street. The work was monitored between July 2018 and March 2019. PCA worked with the contractor to ensure that the programme was not delayed. Most of the work took place around St. Nicholas Street and the eastern end of Westgate Road, both busy commercial roads. It was therefore imperative that archaeological excavation and recording caused the minimum delay to the scheme of works. The Castle Garth area where the work took place includes the historical visitor attraction of Newcastle Castle which consists of the surviving remains of the medieval castle, the Tower Keep, the Black Gate, and parts of the defensive eastern and southern curtain walls. Part of the scheme of works was located within the scheduled monument of the site of the Roman fort of Pons Aelius, an Anglo-Saxon cemetery and motte and bailey castle. Work was also undertaken within an area of the civilian settlement associated with the Roman fort. Significant archaeological remains were uncovered in some areas, and the scheme was redesigned to avoid damaging these remains. Two sandstone walls of Roman date were encountered within the perimeter of the Roman fort, immediately to the south of a previously excavated building interpreted as the principia. The upper part of two graves were also exposed, considered to be part of the extensive Anglo-Saxon cemetery that has been excavated within the confines of the fort.